Running On Life: Looking Forward to General Conference. Lately I've been really discouraged. Discouraged about blogging, discouraged in motherhood, discouraged in myself. I'm pretty sure it's just a phase I'm going through. I seem to notice all the things everyone else is doing well, and everything I'm not doing right, or at all. I hold on to rude things people say or do, even if it's not directed at me. I tell myself I'm not good enough. 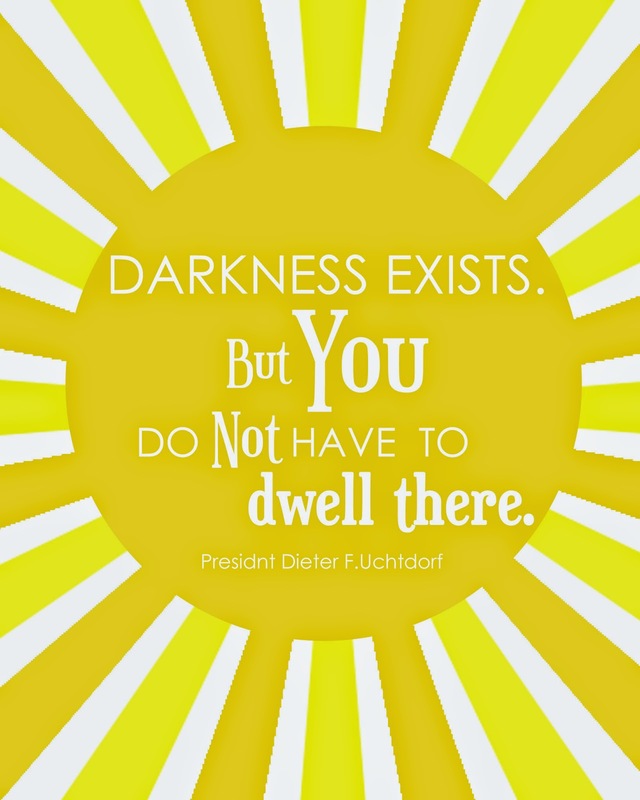 This is why I am so ready for this weekend's LDS General Conference! If you don't have plans this weekend, if you're going to be around a radio or a TV, if you need something uplifting, I encourage you to join it. You can even watch it on the internet HERE. 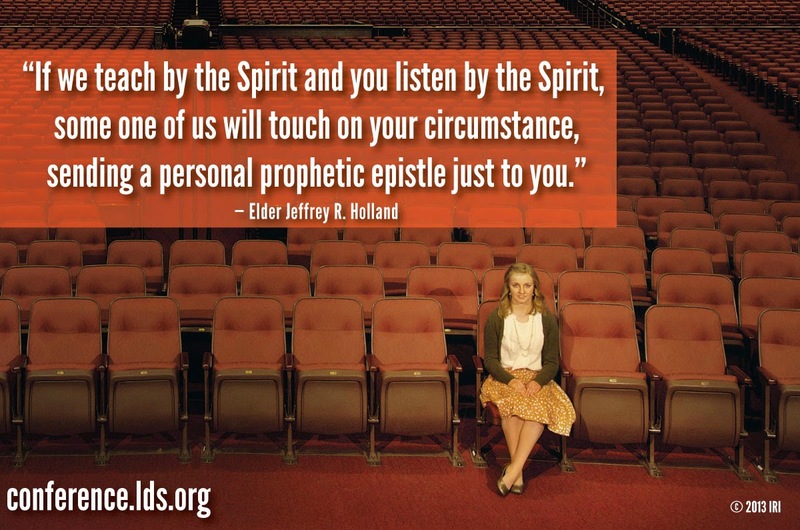 General Conference is when the people who belong to the LDS church gather together in homes, buildings, or by radio to listen to our prophet's words and to hear the council from the Lord through him, and through the apostles. You don't need to be LDS to enjoy it. There is definitely something for everyone every where. Play-doh: Set them at the table, or in their highchair, open some play-doh and listen while they play. Coloring: Buy them a new coloring book or print off some conference/church coloring sheets HERE. Give them some crayons (or colored pencils) and let them have at it. Quite book: You have them play with it at church, this is basically the same thing, have them play with it at home. Blocks: We all love to play with blocks at our house. And as long as we are all listening as best as we can, we will all play blocks together. Send them outside to play. Growing up, we had a rule that as long as we came in to listen to the prophet, we could go outside to play. When we got to the age that we could sit down and listen, we were expected to do so. Bingo: Who doesn't love to play games and eat candy? HERE's a fun bingo game to print out and use. Conference sheets. Use one of the younger kids coloring sheets and have your older kids color them and then write one thing they learned from the talk on the bottom. Better yet, HERE is another printable, with space to write the notes! Puzzles: my sister and I would always, always do a big puzzle together while listening, most of the time we could finish by the end of conference. Crafts: My grandma is a big quilter. Growing up we would all go up to their cabin for conference and as I got a little older, my grandma would let me help her with what ever quilt she had on the frame at the time. You could teach your daughter to cross stitch or let them practice a hobby they enjoy and want to work at. You likely still won't be able to catch all of it, but You could probably catch most of it. And for the talks you do miss, you can read them starting Wednesday on the LDS website. I'm looking forward to conference. It makes me feel refreshed and ready to try harder to do the things that I need to be doing. It reminds me that I'm never alone and that God is looking out for me. I hope you'll join in and feel the love that our Heavenly Father has for you too. We will receive answers to our prayers and comfort for our fears. I always look forward to Conference too. EVERY time one of my big questions is answered and I always feel like there are lessons directed to me. <3 BTW you are a non-comment blogger so I can never respond to your comments! Oh no! I don't know what that means haha. How do I change that? Conference is like going to the spa for my mind and spirit. I love it.